Running your own business can be stressful. So sometimes you have to find a way to relax so that you can still get the job done. We’ve all been there before…dead tired and not able to focus or concentrate on the task at hand. I’ve had too many business trips that involve me lying in a hotel bed looking at the ceiling at 3am and not able to sleep. This is usually because I am so uptight over what I have to do the next day. So today I’m looking at relaxation apps for Android. There are quite a few of these relaxation apps but many of them aren’t very good. Too many of them are just classical music or water sounds. I’ve tried to pick 3 good relaxation apps for Android that may actually be useful for you. I have to admit that I had my doubts about this app. I’m not a big believer in hypnosis. But after using this app just once I was extremely relaxed. This is one of my favorite relaxation apps. 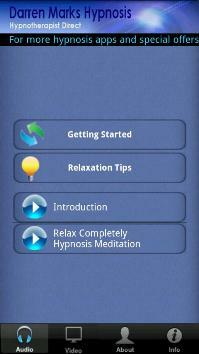 This is a free app from hypnotherapist Darren Marks. He also has several paid apps that you can purchase on the app store. The powerful hypnosis meditation audio session Relax Completely. 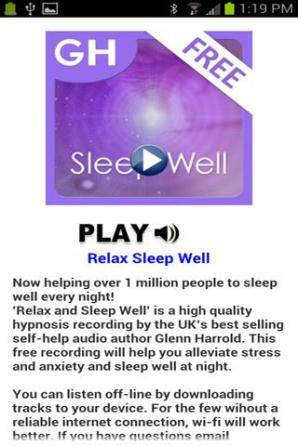 Here we have another hypnosis app. I think it’s interesting that both this app and the previous are from UK hypnotherapists. This relaxation app is very similar to the previous…but it is a good one. I’m thinking maybe use both apps and alternate between using them so they stay fresh. Glenn’s highly acclaimed hypnotic vocal techniques guiding you into a completely relaxed state of mind & body. This relaxation app goes in a different direction from hypnosis. 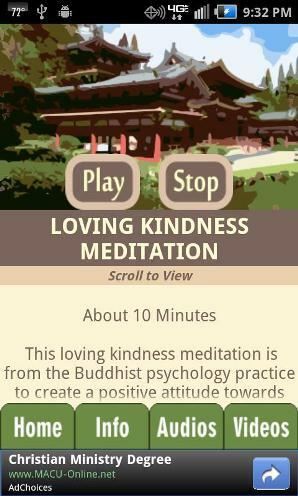 This app teaches you about meditation and includes links to relaxation videos and it even has some relaxation audio. This is a good app to learn Qi Gong meditation.